Acupuncture&Moxibustion, which originated in China more than 2500 years ago, is an important part of the traditional Chinese Medicine (TCM). It was brought to the Far East (Korea, Japan, etc) and Southeast Asia in the sixth century, and subsequently, to Europe and the United States in the 17th and the 19th centuries. 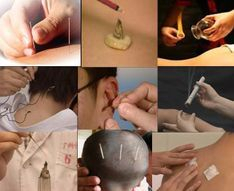 In 1997, the consensus Development Conference (CDC) on Acupuncture held by the National Institutes of Health (NIH) evaluated the scientific and medical data on the uses, risks, and benefits of acupuncture procedures for a variety of conditions. Both the NIH and WHO have issued statements confirming the usefulness of acupuncture in the treatment of a wide variety of conditions. One of the advantages of acupuncture is that the occurrence of adverse side effects is extremely low. Chinese Herbal medicine formed thousands of years ago. The medical book, written in approximately the third century B.C, inscribed on silk fabric, already included 280 herbal prescriptions to treat 52 kinds of diseases. 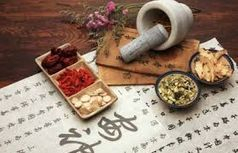 Shanghan lun(傷寒論),a famous Chinese medical treatise that was compiled before the year 220, at the end of the Han dynasty, has 398 sections with 113 herbal formulas, which are applied widely in modern Chinese medicine clinical settings and are very effective. 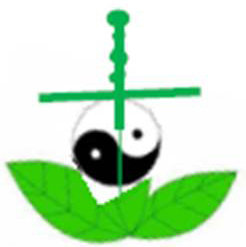 Herbs are from Nature, while Chinese Herbal Formulas embody the wisdom of Human Being. The functions of herbal formulas are very different to single herbs. Usually herbal formulas are more effective in dealing with complicated diseases and have less side effects.